I may have gone too far outside the box on this one. Maybe I've watched too many episodes of "ER" or maybe I spent too much time in rehearsals for Wit (a heartbreaker of a play if you've never seen it) but when I saw the world clear I immediately imagined a flurry of doctors and nurses working furiously to save a patient and the inevitable appearance of the paddles and the shouts of, "Clear!" And thus my card and the beating heart sentiment. What comes to mind for you when you see the word clear? Be sure to check out all the gorgeous cards from the rest of the design team and then play along! I love your interpretation of clear!! Love your card, so cool!! Ha! Now I get it - I was wondering when I saw it in the DT blog! Very clever and beautifully executed. What a cool interpretation of the word and a cool card to boot! Fabulous card, Jen! It's so fun! Awesome, Jen!!! I love your take on the cue word!!! So clever and fun!! BRILLIANT! 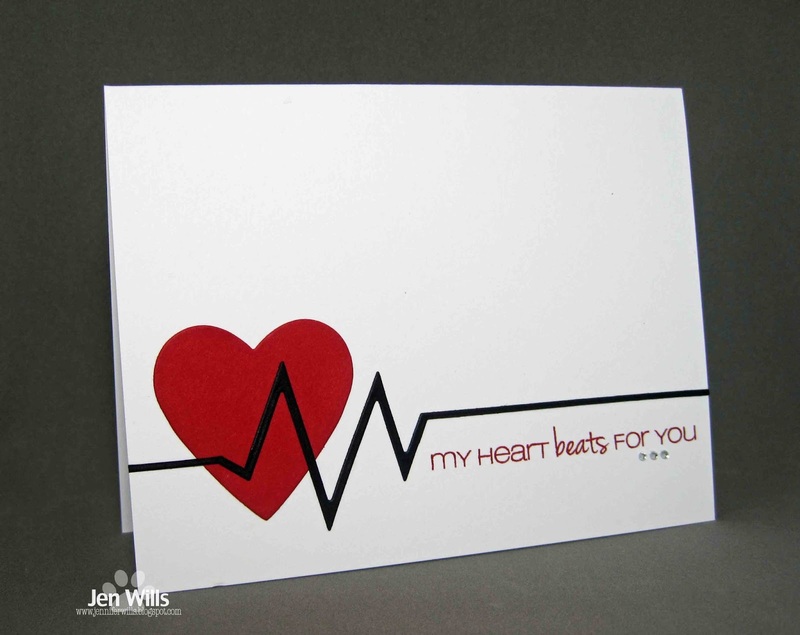 Not only is your card, with that fabulous heart, sentiment and EKG, absolutely CASilicious, but your connection to clear: awesome! Innovative, ingenious, imaginative...not to mention inspiring! Love it, my friend!! Very clever card! LOVE it!! Jen I totally got you! Awesome! I could not wait to see your write up of this card, because I knew there would be a good explanation. I now know exactly what you were thinking, and I am so impressed with where your brain went. This is a fantastic valentine, also. Love this, Jen!! As soon as I saw your card on the CASology blog, I immediately starting thinking of "ER", "Chicago Med", "Chicago Hope", etc.. I love your interpretation of the cue word and the epic CAS-ness of your card. So perfect for Valentine's Day! Totally, awesome card!! 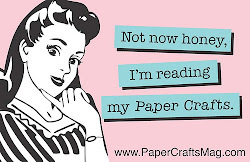 Love your take on the cue card! Your interpretation makes me laugh! As soon as I saw your card, I could tell where your mind had headed. Great CAS card! Jen I am seeing you everywhere this week. This wins first prize this week of out of the box! Fantastic, I love the way you think and the perfect sentiment to go along with it! I guess we all knew where your mind went and you followed that thought to a perfect card, Jen. This cracks me up! Fabulous interpretation of the cue word and a gorgeous card. OK, is it scary at all that as soon as I saw your card on the blog I knew EXACTLY what you were thinking? I heard the doctor yelling, "Clear!" on ER (well, actually I thought of Grey's Anatomy, but same idea...)! What a brilliant Valentine card, too! Love this!!! I've been waiting patiently to read your explanation, unlike some of the other (clever) commentators I didn't catch it at first! So clever Jen! 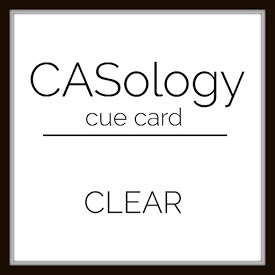 Wonderfully CAS and "clear" card! Hey Jen!!! I love your interpretation of the cue card!! Brilliant!! Your card is super cute too!! Nicely done.